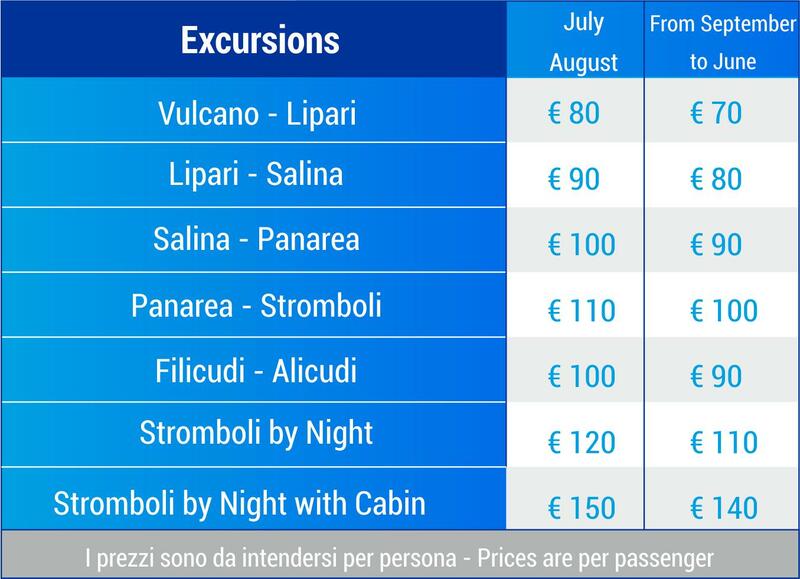 The Nebrodi Eolian Charter is specialized in organizing excursions, even customized, to the Aeolian Islands. Our guided tours have itineraries and pre-established days and include stops in the most evocative and exclusive bays and caves that only the pearls of the Mediterranean can offers. Thanks to the deep knowledge of the Islands we will be able to make you admire places excluded from mass tourism and reachable only and exclusively by sea with our means thus making it unforgettable even a single day of vacation on board our fleet. The excursions are guaranteed with the participation of a minimum of 7 people. The price is to be understood inclusive of fuel, skipper and insurance. The company reserves the right to identify the most suitable boat based on the number of guests in compliance with the regulations governing navigation.